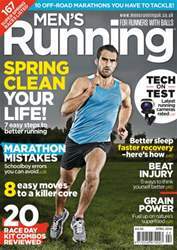 If you want to improve your running, then the April issue of Men’s Running really is a must-read. From purging your body of life’s toxins to improving your sleep – and hence your recovery – we’ve really got it covered. For marathon first-timers, we cover the 10 most common mistakes – and how to avoid them. This includes everything from not prioritizing your rest and recovery to not practising your nutrition strategy; it also explains how to tell if you are overtraining. On the subject of rest, we have a fascinating article on how sleep is a vital part of your training programme. 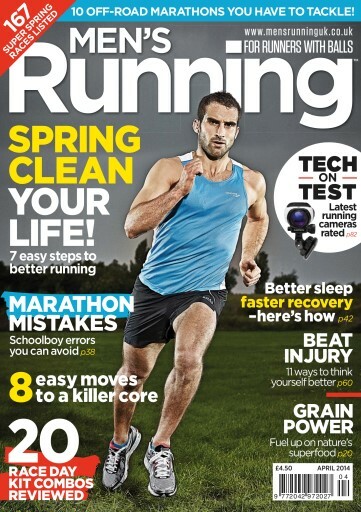 We also have the usual mix of recipes and tips on how to stay healthy and improve your running life, plus a comprehensive test of the latest running kit and reviews of three of the best running cameras on the market.